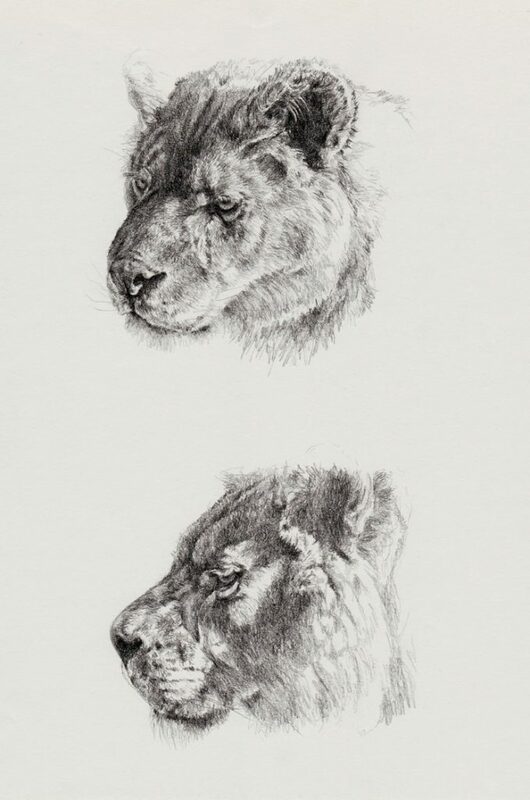 Studies of a lion named Elsa. She was raised on porridge and had been fed nothing else during her life. So her growth was stunted, giving her a “chow chow” looking head.